Jolleen Wagner, Director of Lasallian Volunteers, will be honored on June 7, 2014, by Siena College for her dedication to service. Wagner, a 2004 graduate of the Loudonville, NY, college, will receive the Franciscan Spirit Award during the President’s Brunch and Distinguished Alumni Awards Ceremony as part of the college’s Reunion Weekend. The Franciscan Spirit Award is given to a man and a woman who have graduated within 10 years and have demonstrated commitment to service to both Siena and their community while excelling in their careers. Since graduating from Siena, Wagner has continued on a path of service, including serving for three years as a Lasallian Volunteer and educator. 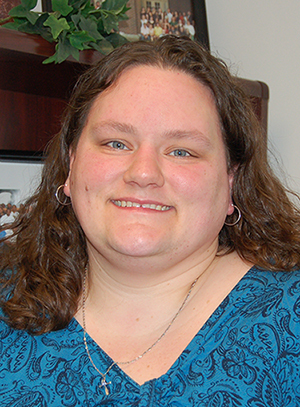 She became the Lasallian Volunteers’ Associate Director in 2007 and Director in 2011. In addition to her work for Lasallian Volunteers, Wagner has been called upon to evaluate existing and develop new formation programs, lead and design immersion trips, and present and facilitate at various events focused on faith, service, and community. Also a member of the International Council of Young Lasallians and the chair of the Regional Young Lasallians Committee, Wagner leads at the International and Regional levels to illuminate and invigorate the Young Lasallian voice for the future of the mission.